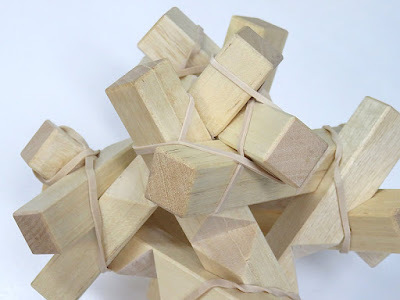 We are sure that you need rubber bands to assemble our polyhedral shape puzzles. 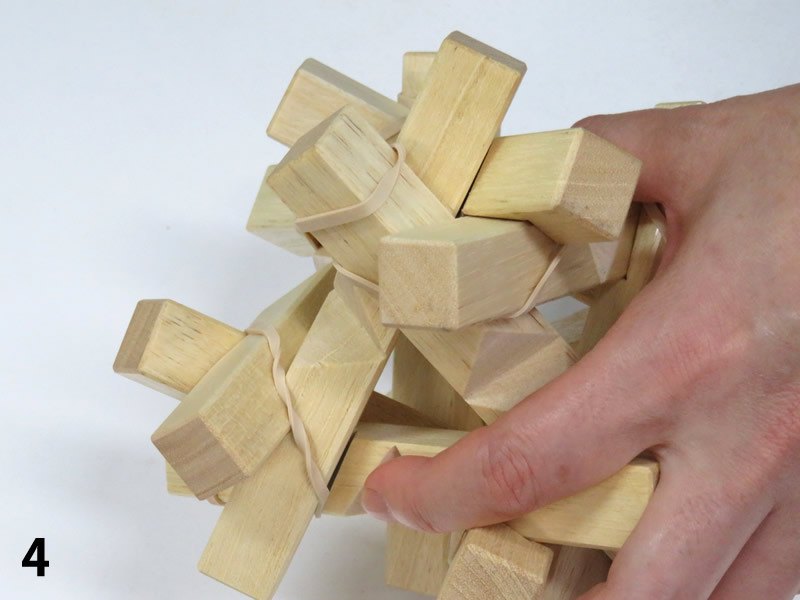 The inner octahedral part of the Reza 6-8 puzzle is not self-standing. It has to be supported by the outer cube part of the puzzle to hold it together. 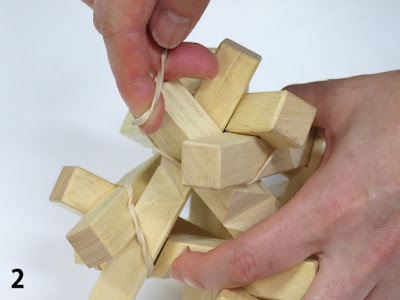 This method makes it easier to retrieve rubber bands when you assemble the outer cube part of the puzzle. 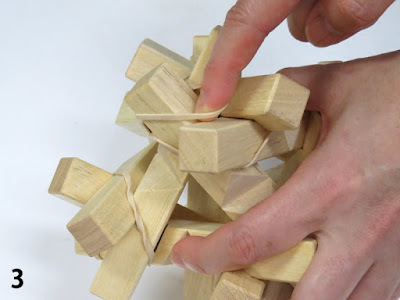 In case you put rubber bands in an ordinary way on the puzzle, it becomes difficult to pick rubber bands once the cube part is assembled because those pieces are so cramped and there's almost no room for your fingers. 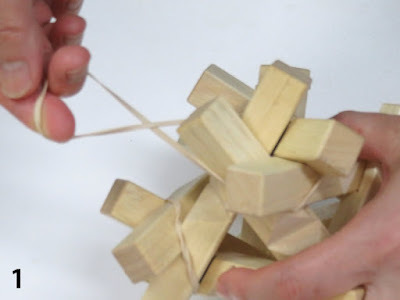 The method in the last picture is also a recommended way to put rubber bands. 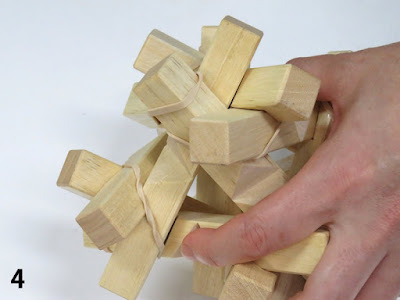 By twisting rubber bands several times, it gives good holding support for the pieces. Reza 6-8 is now available on eBay, but we are also preparing to sell the puzzle on our own site. 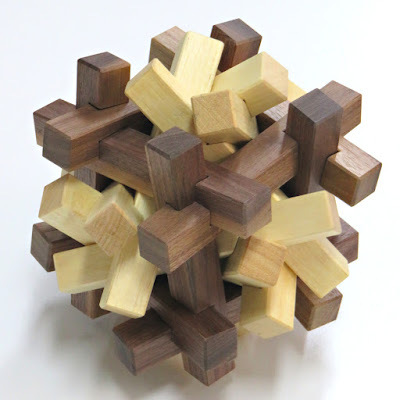 A more complex version of the polyhedral shape puzzle Reza 12-20 will also be available soon.